With 3 production units in Plymouth and Launceston, offering a range of metal finishing processes including electroplating, anodising and polishing, SMB Plating Limited serves industry and commerce throughout Cornwall, Devon, Somerset and Dorset with a regular collection and delivery service using the company's own vehicles. Next day collection and delivery can be arranged for "rush jobs". We are IS9001 certified and have quality management procedures in place throughout our factories ensuring that the customer gets the service they require consistently and on time. We recycle filter and re-use water at all our factories to minimise the risk of any contaminants entering the water table. 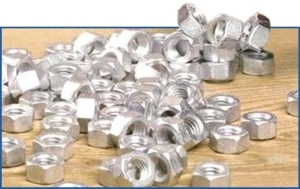 Our factories are regularly inspected by the relevant authorities. Although based in the West Country we have customers nationwide and can arrange collection and delivery by carrier or our own vehicles for large loads. The old cliché is true – no job is too big or too small for SMB plating. We have barrel plating for small jobs and vat plating for larger jobs (including 1-offs). 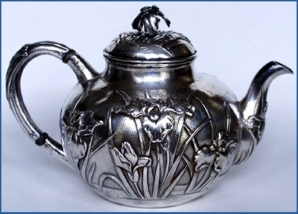 So whether you have a silver teapot you want re-plating or 10,000 nuts and bolts to be zinc plated every week we can assure you of our prompt and efficient attention to your order.